Everybody loves taking photos, which is the best way to capture amazing memories, and everyone is a photographer somewhere in his heart. However, not everyone is able to buy or operate a professional camera. But thanks to smartphones, now everyone has become a photographer. The smartphones have provided the ability to every individual to capture photos and memories easily. However, many times it happens that we take an awesome photograph with our phone but there are some people or certain unwanted objects present in the photo. And at this point we feel the need of an app or apps that can help us easily remove these unwanted people or objects from our photo on Android smartphone. Doing this is certainly easy for professional digital artists using Photoshop or other professional level softwares. But not every individual can do this. Not everyone has access to such expensive and professional level tools, and neither so they have the expertise to use them. Hence, having a photo eraser app on your Android smartphone, that can allow you to easily remove unwanted people/objects, is definitely a better option for many. If you are also looking for such an app, then look no further. The Android Play Store has numerous apps that performs almost all types of functions that a user can expect to do. In this article, we will recommend you the best 5 image eraser apps for Android that you can use to remove unwanted things from the picture. Erasing unwanted objects from photos is one such thing and there are many amazing apps, available on the Android Play Store, for this purpose as well. 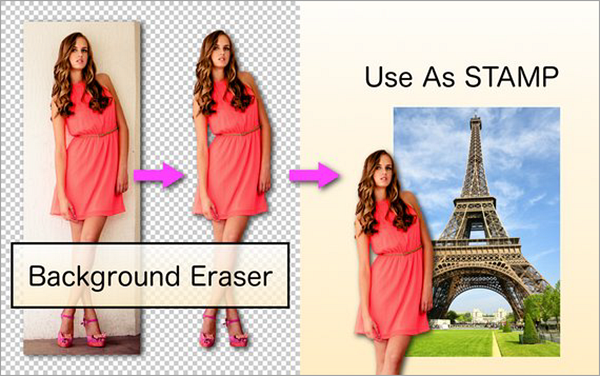 If you looking for a photo eraser app for your PC, then we have a great option for you. Jihosoft Photo Eraser for PC is a feature packed and very useful photo eraser app for your desktop or laptop. You can check out the software here. You will surely not be disappointed if you want to erase unwanted objects from photos on your computer. 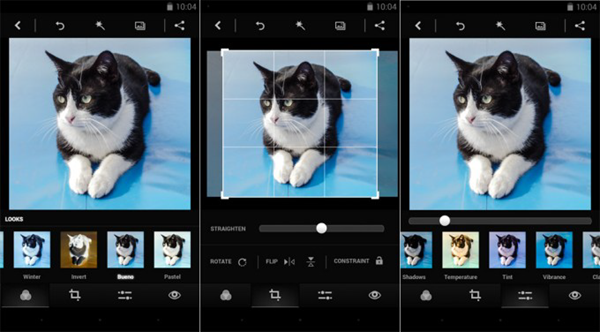 This mobile version of Adobe Photoshop is already one of the best photo editor apps on Android. Though it is not as powerful and feature packed as its desktop sibling, it still has quite a decently powerful tool set. But what many people don’t know is that it also has a healing brush in it’s powerful suite of tools. What this tool does is that it tries to remove the unwanted object you select by analyzing the surrounding pixels and duplicating them over the object to be removed. And it works pretty well for most of the images. 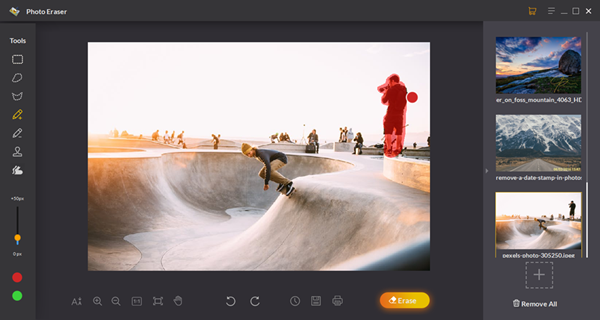 If your images is a simple image with not a busy background it can easily, and in many cases flawlessly, remove unwanted objects from your photo. But if you have an image with a lot happening in and around the object you wish to remove, you might not get great results. 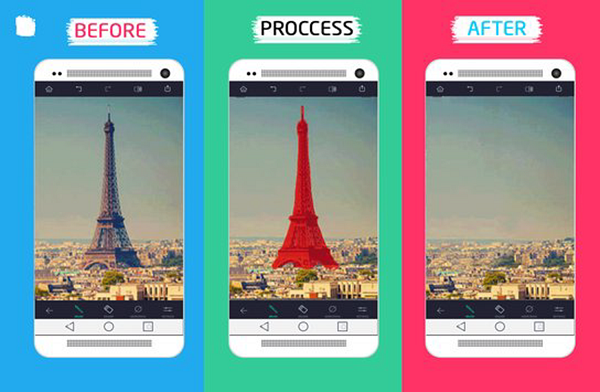 This is another most popular photo editing app, owned by Google. And just like Photoshop express, this app also has a healing tool not many are aware of. This tool works in the same way as the one found in Adobe Photoshop Express. It analyses the neighbouring pixels and duplicates them over the object to be removed. In personal experiences, we have found the tool found in Snapseed to work much better than the one found in Photoshop Express. We think this is because Snapseed is owned by Google and Google is already popular with its machine learning image processing algorithms. This helps Snapseed perform much better at removing unwanted object from photos. However, once again, if your image has a very busy background, your results may vary. 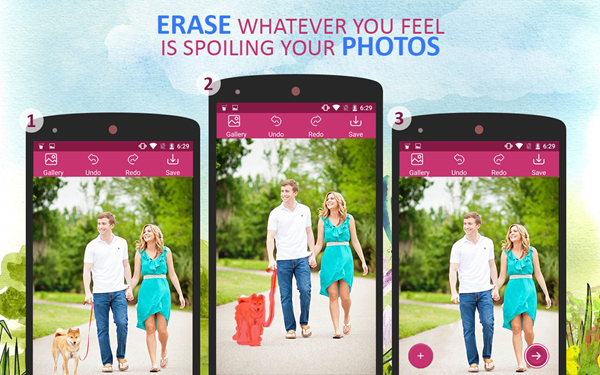 As the name of the app itself suggests, this is an eraser app for Android that allows the user to remove unwanted content from their photos. Like the apps mentioned above, and every other photo eraser apps, this too works on the same principle of analyzing neighbouring pixels. And the process is very simple too. After opening the app and selecting the image to be edited, just brush over the object to be removed. The selection does not have to be perfect as the removal algorithms of the app smartly distinguish what the user wants to remove and what he/she want to retain. Then it smartly analyses the adjacent pixels and duplicates them over the unwanted object. This is another well rated photo eraser app on the Android Play Store. It also works really well to get rid of the unwanted objects in a photo. The process, like all other apps, is as simple as selecting the photo, brushing over the unwanted object to select it and it’s done. The algorithms of the app work pretty well to edit unwanted object out from most images. Many times, we want to change the background of our photos. Even this is possible these days using apps. This app helps in achieving exactly this functionality. Just open the photo in the app and you can either manually or automatically erase the background. If the image has a busy background, the user may have to manual erase the portions from the image. But if the background has a specific and unique color, this app has the functionality to automatically remove all presence of that color from the image. In this way, you can remove the background from your image on Android phone and add a new one if you so chose later in a different photo editor. It’s amazing to see how far technology has come. From the creation of smartphones, that provided a camera in everyone’s pocket, to the mobile operating systems and their powerful apps that allow us to do so much so easily, technology has really come a long way in the last decade and helped people in more ways than possible. Something as complex as removing an object from an image, that used to require professional softwares and experienced artists, now can be achieved very easily, to quite an extent, in the palm of your hand. Of course, it is not perfect. And for perfect results, one still needs professionals working on pro softwares. But not everyone desires that level of perfectionism. 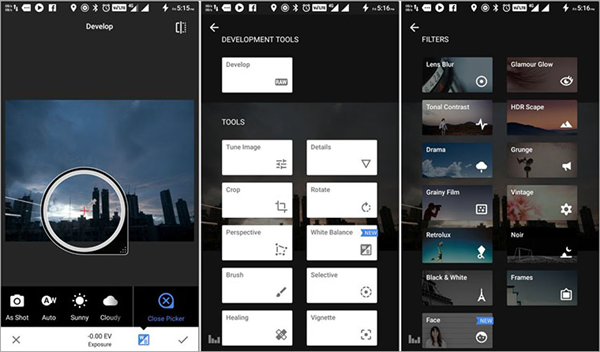 The regular users are more than happy with the amazing images they are able to shoot with their pocket smartphone cameras, and do any sort of editing, that they can easily, on them. And we hope our list of photo eraser apps will help you achieve just that.